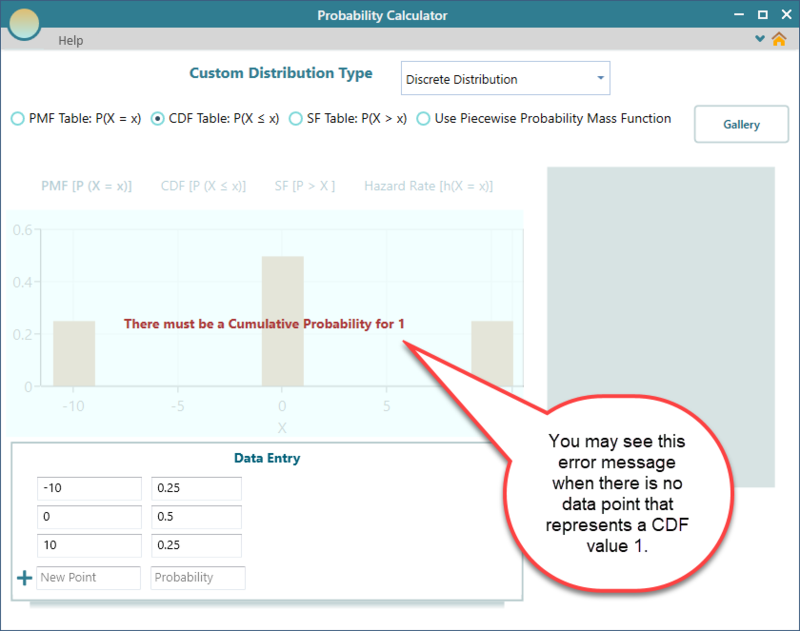 As you know, in a Cumulative Distribution function, there must be a random variable definition whose CDF value is 1. 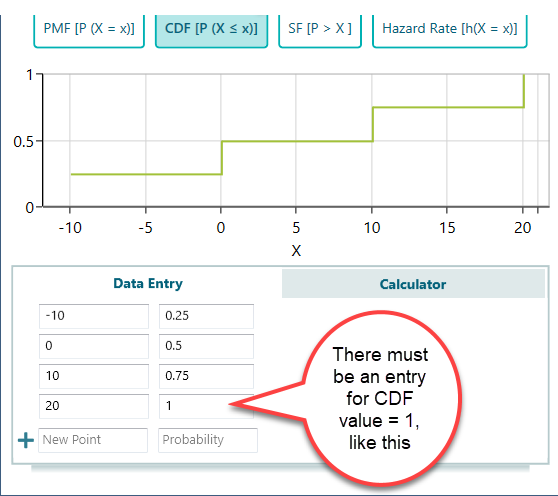 If you do not provide an entry for value = 1, you will see the error message "There must be a Cumulative Probability for 1". So, just fix the table by adding an entry for CDF value = 1. CDF is a Nondecreasing function. Cumulative Distribution Function is a nondecreasing function. 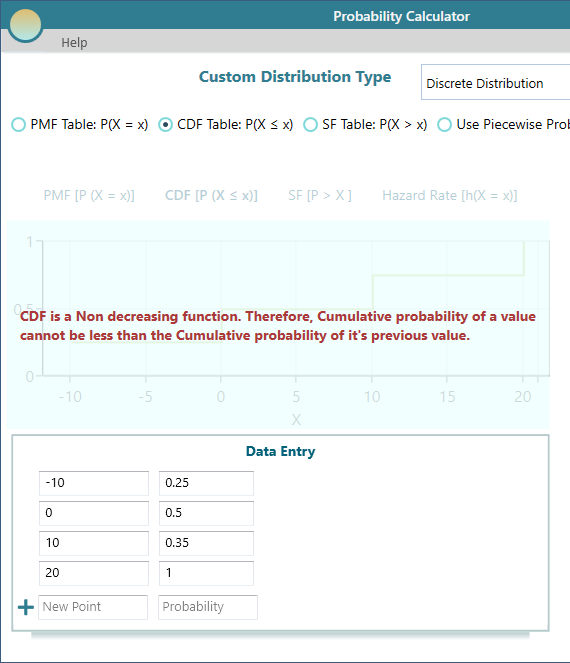 Therefore, in a CDF table, the CDF value for an entry must be equal to or higher than the CDF value of the previous row. "CDF is a Nondecreasing function. 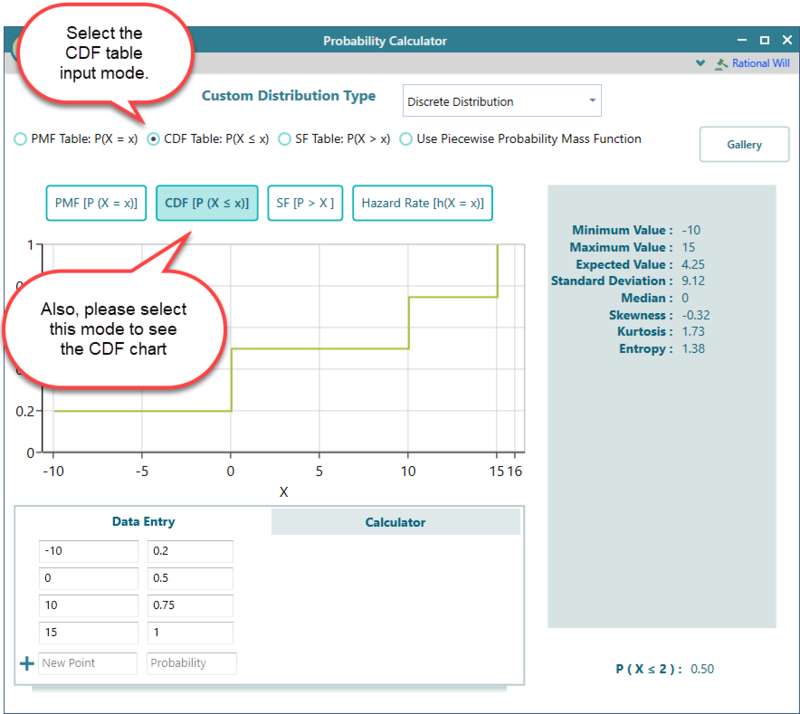 Therefore, the Cumulative probability of a value cannot be less than the Cumulative probability of its previous value."